Buakaw Banchamek is back in the ring on January 27 in Phuket. Battling out in the main event of the next edition of All Star Fight, Muay Thai legend faces Niclas Larsen. The pair was initially expected to square off last April in Bangkok. The contest fell off when Larsen was forced to withdraw due to skin infection. The bout has been rebooked as a headliner of the upcoming show. 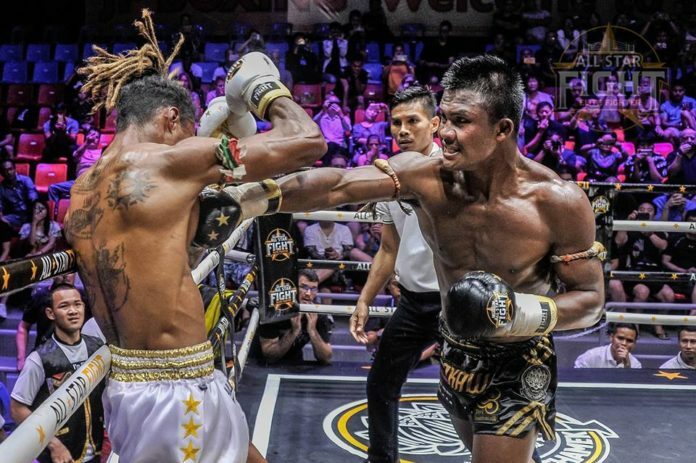 Riding a four-fight win streak Buakaw Banchamek is coming of a unanimous decision win against Gaetan Dambo scored last November. Before that he defeated Michael Krcmar, Victor Nagbe and Luis Passos. Niclas Larsen is known for his bouts at GLORY Kickboxing where he defeated Yodkhunpon Sitmonchai, Lukasz Plawecki, Steve Moxon. Among other bouts featured on the card Jay Tonkin faces Saksurin Kiatyongyut. Pakorn PK Saenchai Gym takes on Victor Conesa Jimenez. Victor Hugo Nunes battles out against Zho Batong, and Petchrahu Banchamek goes up against Hu Binqian. A complete lineup can be found below.